Join the brand new Mars Maker Space network, use 3D printers and FabLab to build on Mars. 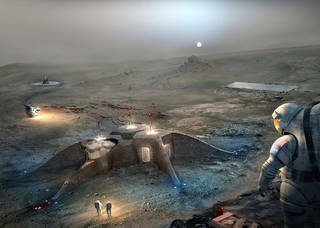 Sponsored by the Mars Foundation, MarsFoundation.org dedicated to Mars Settlement. MakerSpaces are the major breakthrough enabling the first practical space settlement. 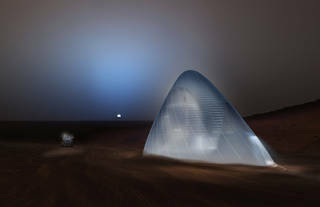 Note, the polymer raw materials can be made from the Martian air and water. 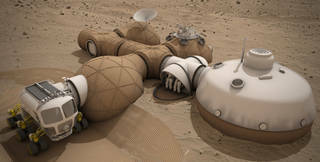 The Mars soil can be sintered for construction material. Don’t bring materials from Earth.